Jay’s Treaty, signed November 19, 1794, did contain some provisions favorable to the United States. 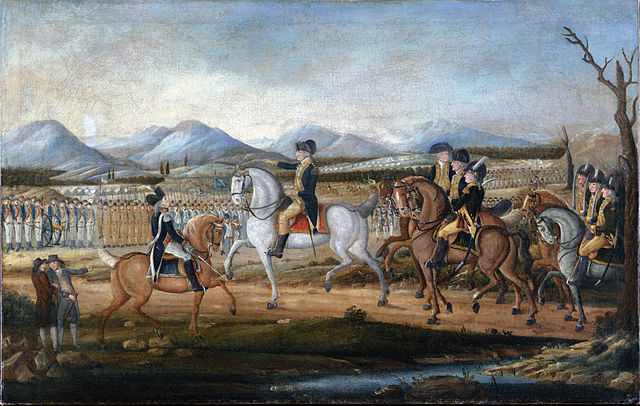 For one, the British agreed to evacuate all their forts on United States ter­ritory by 1796 and granted American ships a limited right to trade with the British West Indies; and while the United States agreed to pay back debts amounting to 600,000 pounds, the British offered 1,317,000 pounds in reparation for the illegal capture of American ships. But other parts of the treaty, Washington knew, would only stoke Republican ire — and they made even Washington wince. For one, the treaty forbade American ships from transport­ing, as they long had been doing, certain products, including cotton, molasses, and sugar, from the British West Indies to America. It did not press the British to compensate slave owners for slaves taken at the end of the war — Jay was opposed to slavery and did not insist on the provision. Finally, the treaty made no mention of the impressing of American sailors. Washington asked the Senate to debate the treaty in secret; but Pierce Butler, senator from South Carolina, gave a copy of the treaty to Madison, who leaked it to the press. A storm of Republican protest arose. Jay was called traitor, and when Hamilton tried to defend the treaty in New York, he was met with a hail of stones (which led one Federalist wag to comment that, by trying to knock out Hamilton’s brains, the Republicans attempted to “reduce him to an equality with themselves.”) Incensed at these insults, Hamilton chal­lenged all Republicans to a duel. Yet, despite the protests, anger, and political theater, the Senate finally approved Jay’s Treaty by the required two-thirds majority, and Washington signed it on August 1, 1795. It is has been said the George Washington’s favorite song was the old folk tune, “Barbry Allen.” Here is “Barbry Allen” sung by the Kentucky Appalachian folk singer, Jean Ritchie.